It is Good Friday, once again, I find myself writing to express my concern with respect to recent actions by the state of Israel this time focusing on its excessive use of force against Palestinian children including the heinous use of extra-judicial killings in occupied Palestine. • On April 11, Jasem Nakhled died after being shot by Israeli forces near Ramallah on March 23. In the same incident, Israeli forces fatally shot 17-year-old Mohammed Khattab as well as injuring 17-year-old Musa Nakhleh and another 15-year-old Palestinian child. • On April 1, Israeli forces gunned down Ahmad Ghazal, 17, in the Old City of Jerusalem after he committed a stabbing attack in what appears to be an extrajudicial killing. • On Feb. 24, an Israeli soldier shot Mohammad Hilmi Jamed Shtaiwi, a 10 year with a rubber bullet in the chest near Qalqilya. He is the second child this year injured by improper use of crowd control weapons by the Israeli military. • In 2016, two children, Faris al-Bayed, 15, and Muhyee Tabakhi, 10, died as a result of being struck on the chest or head by Israeli forces exercising “crowd control”. Having served as a human rights observer in Bethlehem I witnessed firsthand the brutality and intimidation tactics of Israeli military forces directed toward children. It is something that still fills my mind with disturbing images. Based on reports from credible NGO’s such as: Defence for Children International, Amnesty International and Human Rights Watch as well as UN agencies, the violence and intimidation used by the Israeli military against Palestinians and especially Palestinian children has intensified in the last three years. Of particular concern are reports that Israeli forces have increasingly been using live ammunition to quash protests since 2014. Additionally, Israeli forces have relaxed open-fire rules since 2015. This has resulted in brazen and unwarranted extra-judicial killings when there has been no direct, mortal threat to any Israeli, such as that committed by Elor Azaria in Hebron. It is outrageous that convicted of this cold-blooded, extra-judicial murder he was sentenced to a mere 18-month prison term. It is morally repugnant that he is regarded by many Israelis as a national hero. Minister, these actions along with concerns expressed in my previous correspondence are all gross violations of the 4th Geneva Convention. These actions threaten to scuttle any prospect of justice and peace for Palestinians and Israelis. Additionally, since the passage of SC 2334, Israel seems to be acting even more aggressively against innocent Palestinians including children. I applaud your government for granting honourary citizenship to Malala Yousafza yesterday. She pled for our government to further support the rights of all children to live in peace and she specifically mentioned children in Palestine. My plea to you is for your department to examine the way the Israeli government treats Palestinian children in light of their obligations as an occupying power under the 4th Geneva Convention. As a Canadian concerned with human rights and a believer that Canada needs to play a leading role on the international stage, I am gravely concerned by the actions of the state of Israel and the minimal response from our government to a state that uses excessive violence against Palestinian children. Have you lodged concerns with your Israeli counterpart regarding violations of the 4th Geneva Convention with respect to Israeli treatment of Palestinian children? If not, then please explain, what is your government’s understanding of its obligations as a high contracting party to the 4th Geneva Convention regarding Israeli violations of the rights of Palestinian children? I and all who long for peace with justice in Palestine and Israel await your response. I am a team minister at St. Paul's United Church in Riverview, NB, Canada. 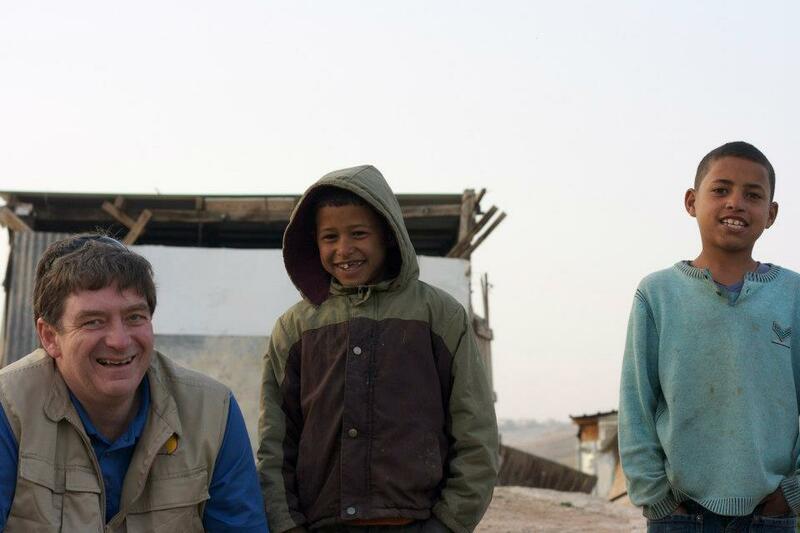 I served as a human rights observer in Bethlehem while on sabbatical in the Ecumenical Accompaniment Program in Palestine and Israel (EAPPI) of the World Council of Churches.